Here is the next episode in the Table Top biweekly series hosted by Star Trek's Wil Wheaton on Felicia Day's Channel Geek and Sundry. 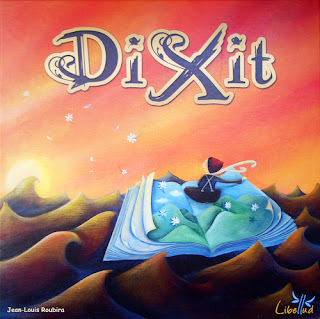 Today's featured game is Dixit, winner of the 2010 Spiel des Jahres (Game Of The Year) Award. Take a seat and let's watch below as Wil and his guest; Beth Riesgraf (actress), Casey McKinnon (actress, indie film maker), and Leo Chu (creator, exec-producer - Supah Ninjas) get very creative and imaginative in a game of Dixit. Along with Dixit (3-6 player game), we have Dixit Odessey (3-12 player game) and Dixit 2 (expansion deck of new cards) in stock.